The disciples of Jesus had seen enough in their years on the sea to know they were in serious trouble. Galilee had often cast up bits of wreckage and swollen victims after storms just like this one. The monster raged sending towering waves smashing into their small boat as it shook it's valiant head and plunged on into the darkness. We're not certain who it was who thought of it first; "If He fed the crowds with a kid's sack lunch, couldn't He do something about this storm??" And so they woke Him up from a well earned, fatigue induced sleep. "Master! Don't you even care that we are about to drown?!" The brashness of it sounds rather like Peter. But truth be told, we don't know which of the beleaguered sailors was so direct with the Lord. Quickly Jesus spoke to the wind and waves, bringing order to the chaos of the storm. His response prompts one to suppose that had they realized it, the disciples could have spoken to the storm and let Him rest. After all, He had taught them that mustard seed faith is sufficient for mountain moving and tree uprooting. What a powerful visual for the disciples that must have been! And such wisdom for Him to connect faith with problem solving in everyday life! Hopefully we will each catch the lesson as well. And hopefully we will learn to address the storms of life we encounter with the same confidence in our Father who hears us when we pray. Be aware, the Master of the storm rides with you. 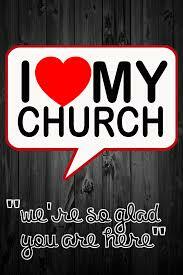 We love our church and know you’ll feel right at home in God’s House with His people. Please feel at home in His House this Sunday. The Holy Spirit has promised us that He will be our invited Guest in the service. Come and meet him this Sunday! Wanted to take this opportunity to say each of you are loved and appreciated. Thanks for honoring us by choosing to worship at Battlefield Assembly today. Long before daylight the man and his son had parked close to the road and had quietly locked the car. Rifles were loaded and flimsy hunter-orange vests were donned over the heavier coats blocking the cold winds of autumn in the Ozarks. Ball caps were swapped for hunter-orange hats designed to make them more easily visible to other hunters they might encounter in their morning quest for venison. Ever so quietly they ghosted down familiar trails to the place they were certain the deer would be crossing that first day of the season. Knowing it was the better spot, the man left his son sitting by the tree overlooking a well-used game trail while he went a little farther and took up his own vigil at the foot of another forest giant. The darkness was so impenetrable he couldn't even see his hand as he passed it in front of his eyes. But he knew where he was and felt secure in the Presence of the Lord, even in the woods, even in the darkness as he and the boy patiently waited for the soft light of morning. As the day dawned and night's heavy gloom dissipated the man slowly swiveled his head from side to side looking for the deer that was certain to come down such an obviously well-traveled trail. To his horror, he counted six other patches of hunter-orange dotted around the area. That meant there were six other rifles besides his and his son's loaded and ready to blaze away at any deer foolish enough to travel that trail on deer season's opening day. Cautiously, he slowly rose to his feet and eased back up the trail to where his son was sitting. He motioned for the boy to follow as he made his way back to the car, somewhat relieved the deer had not come down that trail on that particular day. What a dangerous situation he had accidentally gotten himself and his son into! Who could have known that so many other hunters would have chosen the same spot for opening day? And who could have predicted that each would choose a different path to that same patch of woods so that none knew the others were there? One must wonder how many similar situations we encounter during our lives and we never know it. We thoughtlessly go our way day after day putting ourselves at great risk without ever realizing God was watching over us. How marvelous that He dispatches His angels to watch over us even in times when we feel we don't need assistance. Whether it is a flood from nature, opposition from a ‘”friend”, sickness in your body, stress in the family or a financial hurdle to climb, Jesus is your answer today my friend. No matter what He has called you to do or be He is faithful to complete the work He has assigned to you. When you don’t know what to do there is just one number to call, J E S U S.
He is faithful and He is right on time.